This tutorial shows how to use spring-mail-adapter plugin to read mails from Gmail. 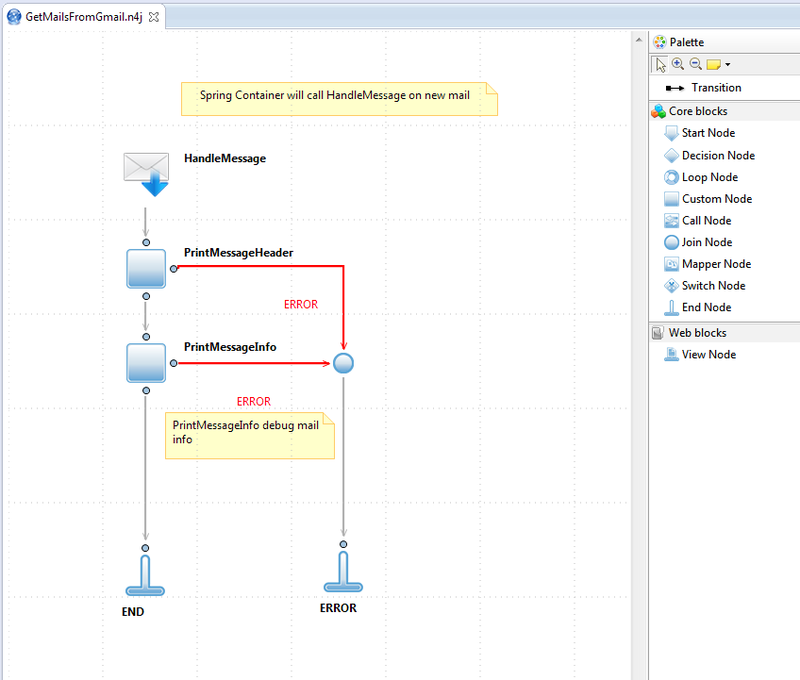 Our java application will work inside Spring Framework and communicate with Gmail through SpringMail API. Expected result: Flow to receive email from Gmail. Download project and unzip it. 2. Import project into Studio.